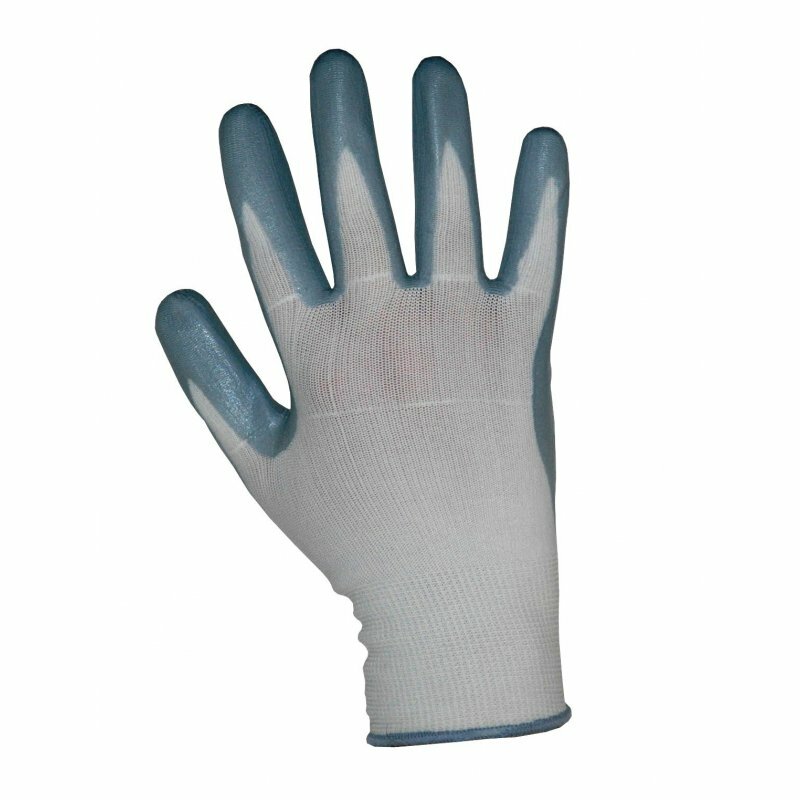 Nitrile foam coated gloves. Knitted wrist. Grey.